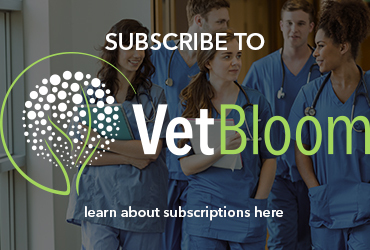 Welcome to our first installment of a resource specifically designed for client care team members but are also a great reference for veterinarians & veterinary nurses. In these quarterly posts, you will receive information and training to help support you in your growth and development in your important roles in our hospitals. In each edition, we will look at the key findings of a peer-reviewed article and present them to you in a meaningful and immediately applicable way. The key to any successful relationship is effective communication. However, companies are frequently teaching their employees to use language that does not stand up to scientific scrutiny. Fortunately, new research offers simple, actionable, and nearly cost-free solutions to improve the communication between the company and their customers. While using words that establish a more personal rapport with customers is important out of the gate, more sophisticated analysis of the language of customer interactions suggests that once they’ve shown they’re listening, front-line employees should quickly shift gears towards language that signals a more assertive, “take charge” attitude. Outlined below are the key points, associated practice and application questions. While companies and employees believe they should refer to themselves as “we” when talking to customers, and actually do so in practice, our research shows this practice is less than ideal. In a series of controlled studies, company representatives who referred to themselves in the singular voice (e.g., “I”, “me”, or “my”) were perceived to be acting and feeling more on behalf of customers than those who adopted less personal plural pronouns (“we” or “our”). 1. Based on this finding, which is the preferred response to a client? 2. Based on this finding, which is the preferred response to a coworker? 2. Share the same words. People who mimic the language of the person they’re interacting with are trusted and liked more, whether this mimicry entails how they talk (pronouns like “I” or “we,” articles like “it” or “a”) or what they talk about (nouns like “car,” verbs like “drive,” adjectives like “fast”). 1. Based on this finding, if a client asks when Dr. Snelling’s first appointment of the day is, which is the preferred response? 2. Based on this finding, if a coworker asks when you’re planning to call a client back, which is the preferred response? Researchers performing automated text analysis of hundreds of airline customer service transcripts found that, consistent with consumer self-reports in prior research, expressing empathy and caring through “relational” words was critical, at least in the first (opening) part of service interactions. Relational words are verbs and adverbs that demonstrate concern (e.g., please, thank you, sorry) as well as signal agreement (e.g., yes, uh huh, okay). While this finding may not seem surprising, what may be for some is that front-line employees shouldn’t necessarily offer a caring, empathetic touch over the entirety of the interaction. 1. Based on this finding, if a client says, “I am really frustrated I didn’t get a call letting me know Molly was ready to be picked up,” which is the preferred response? 2. Based on this finding, if a coworker tells you they are clocking out for lunch, which is the preferred response? 4. Move from relating to solving. The same research that examined airline check-in service transcripts found that after an initial period in which the employee demonstrates their empathy for the customer’s needs, hearing employees say “sorry” and other “relating” words had little effect on customer satisfaction. Instead, automated text analysis revealed that customers wanted employees to “take charge” of the conversation. Specifically, this research suggested a shift to “solving” verbs (e.g., get, go call, do, put, need, permit, allow, resolve) as the interaction unfolds was an important predictor of customer satisfaction. 1. Keeping with the client scenario in section 3, after you relate to the client about the lack of call for Molly, based on this finding above, which is the preferred response? 2) Keeping with the coworker scenario in section 3, after you relate to your coworker about the break, based on the finding above, which is the preferred response? Analysis of the language used in telephone and email customer service interactions at two major retailers found that after the introductory phase of a conversation, when agents must show they are listening, customers see employees as more helpful when they use more concrete language. Lab experiments currently underway suggest that using more concrete language signals to the customer that the agent is psychologically “closer” to the customer’s personal needs. 1. Based on this finding, when talking with a new client referred to neurology, which is recommended? 2. Based on this finding, when talking with a coworker, which is recommended? 6. Don’t beat around the bush. Analysis of the language used in consumer and expert product reviews — plus lab studies — suggest that subtle variations in the words used to endorse a product or action can have substantial effects. For example, people are more persuasive when they use words that explicitly endorse the product to the customer (“I suggest trying this one” or “I recommend this album”) rather than language that implicitly does so by sharing the speaker’s personal attitude (“I like this one” or “I love this album”) towards a product or service. This is because explicit endorsements signal both confidence and expertise on the part of the person recommending, a perception that could be particularly important in personal selling contexts. 1. A client asks whether it is better to email or leave a voicemail for the doctor. For this doctor, email is better. Based on this finding above, which is the preferred response? 2. A coworker asks what machine she should use for a certain task. Based on this finding above, which is the preferred response? 1: B. “I will be right with you. 2: A. “I can you get you that test result in 5 minutes. Erika Picciolo has a combined 11 years of experience in general as well as specialty and emergency private practice. Beginning her veterinary career while earning her Master of Arts in Teaching (MAT) and Multiple Subject Teaching Credential from the University of California, Irvine, Erika started as a technician at San Juan Animal Hospital, a small animal private practice in San Juan Capistrano, California. She quickly realized her passion for veterinary work far outweighed her desire to teach elementary education. 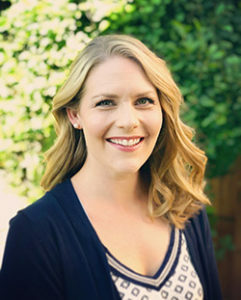 After earning her degrees, she relocated to San Diego and began working at Veterinary Specialty Hospital’s Sorrento Valley location in the Medical Oncology department. She soon transitioned to a role in client experience, which led to a position in training and development. After moving to Colorado in 2016, Erika began working as a member of the Ethos national team in learning and development, with a focus on leadership and organizational development. Erika lives in Colorado with her husband, two adorable daughters, handsome golden retriever, and moody orange tabby cat. She enjoys hiking, traveling, and spending time with her family.